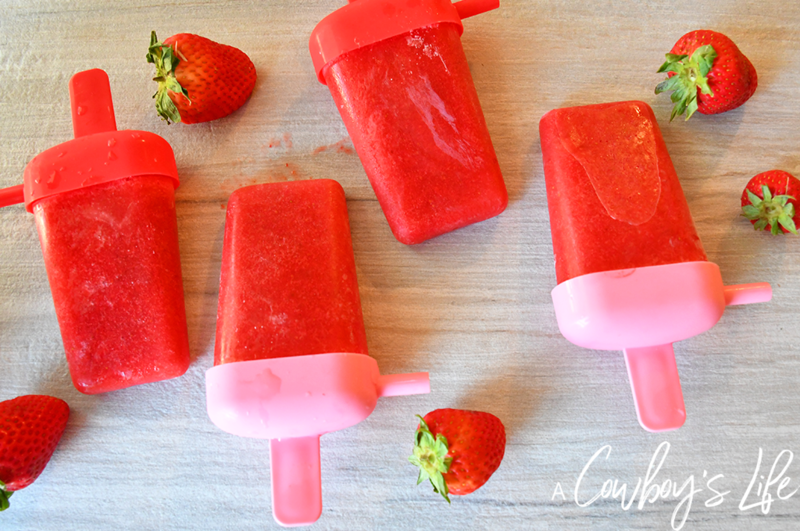 Simple and yummy homemade strawberry popsicles are a great way to beat the summer heat! Schools out and summer has officially arrived! I am excited for our up coming vacations and spending most days poolside with friends. What I’m not excited for is the temperatures already soaring into the 100’s. Yikes, it looks like it will be a scorcher of a summer. I don’t know about you, but when I’m outside playing with my son or taking a break from swimming. I want a snack that is cool and refreshing. 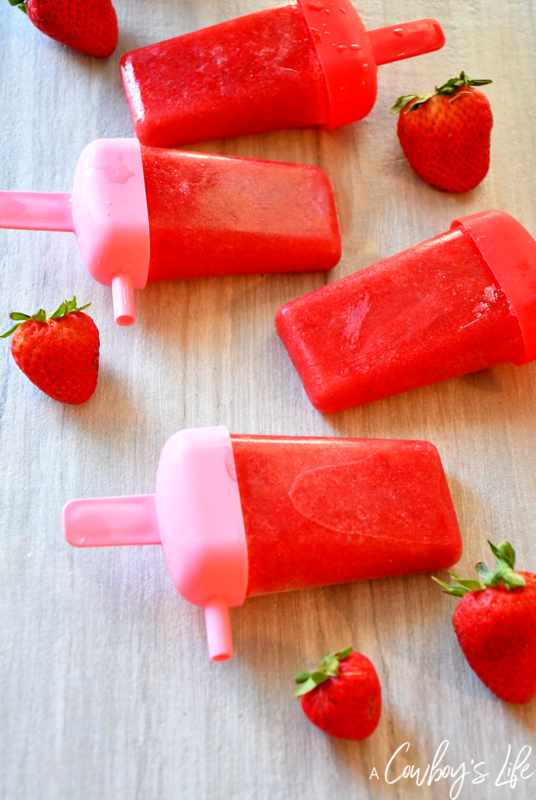 This easy and oh so sweet, 3 ingredient strawberry popsicle recipe is my go-to summer treat. It is simple to make, cools me off and a great way to get my son to eat more fruit. That’s a win in my book! 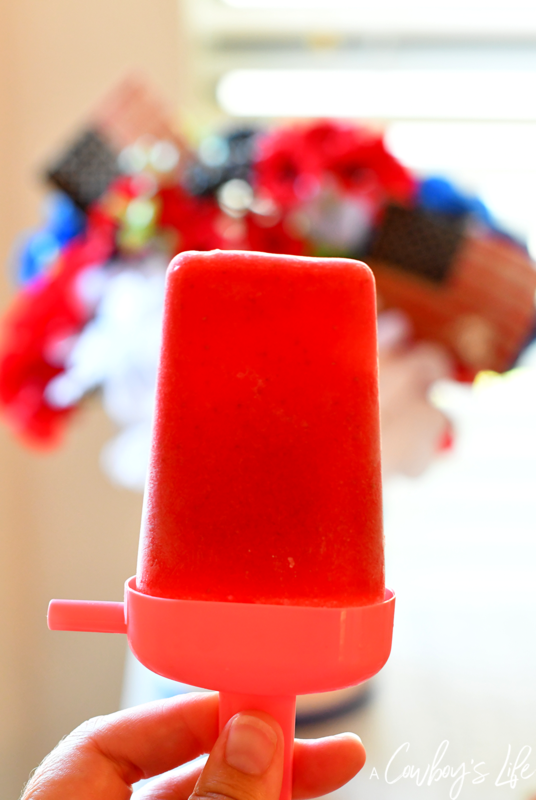 Pour mix into popsicle molds and place in freezer until frozen. Once frozen, run them under hot water for a few seconds. 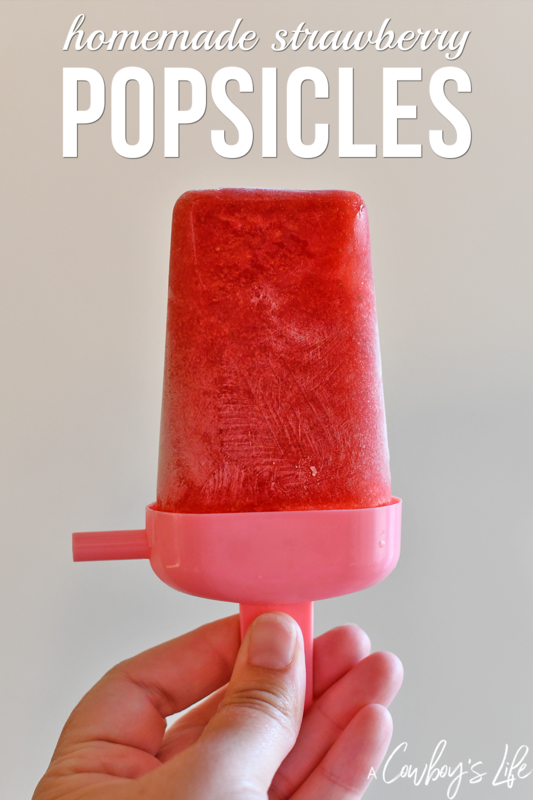 That will loosen up the molds, making it easy to pull out the popsicles. It really is that simple to make this summertime staple. I like to make several batches in the evening and keep the freezer stocked and ready for warm afternoons. Not only are they healthier and cheaper than store bought varieties, but they also taste amazing.